NNA 2013 Conference offers an unprecedented opportunity for participants to directly engage with leading mortgage and banking industry representatives — the first time experts in this field will jointly address the changing world of notarization at a single event. Recognizing the need for Notaries and Signing Agents to learn firsthand what the future of the industry holds for them, the NNA Conference will feature two general sessions and an evening panel discussion will be conducted by officials from almost a dozen of the nation’s largest banks and title companies. The discussions will focus on the new regulatory standards, the training required for compliance, and prospective employment opportunities. In addition to gaining invaluable knowledge directly from the organizations that employ the largest number of Notaries in the nation, another first-time Conference benefit is being offered: Attendees will be able to complete all the steps necessary to becoming an NNA Certified Notary Signing Agent, with the exception of a background check and the exam. A “Signing Service Sign-Up” networking event is also planned, with leading title companies and signing services on hand to recruit Signing Agents. 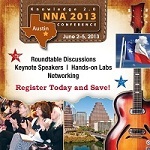 Participants will discover an unparalleled opportunity at NNA 2013 Conference to learn exactly what is needed to advance in their profession, obtain additional training and education, and discover new sources of income. 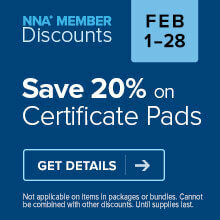 Visit the NNA Conference website to register.